﻿ Are you a celebrity? Or a close lookalike? Check out this app to find out! 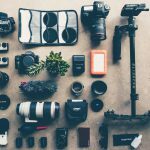 Home > Blog > Are you a celebrity? Or a really close lookalike? Celebrities, by definition, have some of the most recognizable faces in the world. We see them everywhere — online and off — but that means squat to the clean slate of AI-trained computers. Using facial recognition technology, these computer systems can identify famous faces and remember them for future reference. 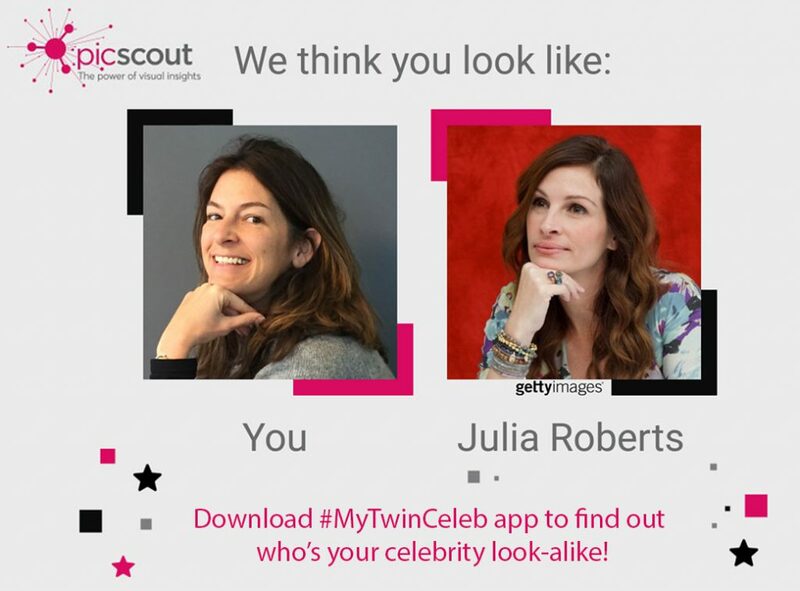 To celebrate National Lookalike Day, let’s take a look at the stats and the science of our successful app “My Twin Celeb”, where a user uploads their selfie which is then matched to their ‘twin’ celebrity. The fusion of artificial intelligence with image recognition technology has enabled computers to ‘see’ objects and context within visual content. And with the advancements of face detection and recognition capabilities, computers can also recognize faces and identify specific people when trained. This face analysis technology automatically sorts and groups photos according facial landmarks the computer recognizes and stores within its memory. When a user uploads a picture of themselves, the computer locates the stored image that shares the most similar facial landmarks with the uploaded content, producing a match in seconds. 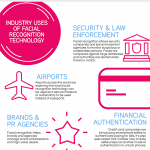 Today, facial recognition software is still used largely for security, yet other applications are becoming more and more popular, particularly in the retail, financial and telecommunication industry. “My Twin Celeb” app quickly became viral with thousands of downloads each day. It was featured on a number of tv programs and national newspapers, and has scanned over 1.5 million images to date! The most used phone that downloaded the Android app was the Samsung Galaxy S5, S6, and S7, clearly showing the market leader among Android-based phones. 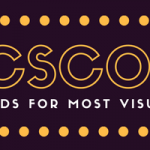 What’s also interesting, is that most images uploaded were chosen from the users gallery (63%), as opposed to selfies taken on the spot (37%). Check out your twin celeb for National Lookalike Day! National Lookalike Day is another reason to make facial recognition technology fun and accessible — it’s not only being touted for airport security and law enforcement, but also banking and marketing. The fun app also provides a great laugh when shared with friends and family — so download it today and find out which star you are!